Notes: Fits Carter AFB carburetor. Carb to glass filter. Filter not included. Right Stuff Detailing offers you the best fitting, most exact reproduction fuel lines on the market. They utilize state-of-the-art CNC benders and automated end-forming machines that double flare lines with remarkable consistency. 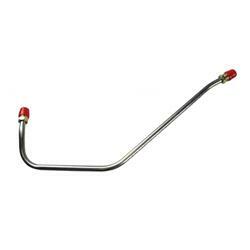 Right Stuff Detailing fuel pump to carburetor lines are available in OEM steel or stainless steel.